Brighton & Hove Albion recorded their first Premier League win of 2019 with a 1-0 victory against Huddersfield this afternoon. After a cagey first half in which Alireza Jahanbakhsh hit the bar, Brighton's pressure grew throughout the second half. Terriers keeper Jonas Lossl denied Alireza Jahanbakhsh and Florin Andone before Andone headed home Anthony Knockaert's cross for the only goal 11 minutes from time. 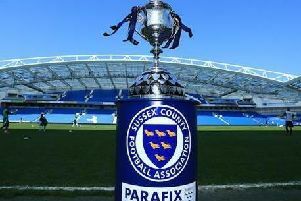 Click here for our sister paper the Brighton & Hove Independent's player ratings from the games. Both Albion and Huddersfield players have been rated, with Shane Duffy, Jahanbakhsh and Andone among the players to shine for Brighton.